Looking for inspiration for weekend adventures for your family? Want to do a little easy car camping but want to try out a new spot? Out for your first backpacking trip, but want to keep the safety net of a car nearby? What about spending the night on a paddlewheel boat next to a train museum? Have you gone camping on Angel Island? A trip up to the Gold Country for some early settler type adventures? Create your next adventures with adventuresome ideas. With 25 adventures, you could go on 2 weekend adventures a month for the next year! 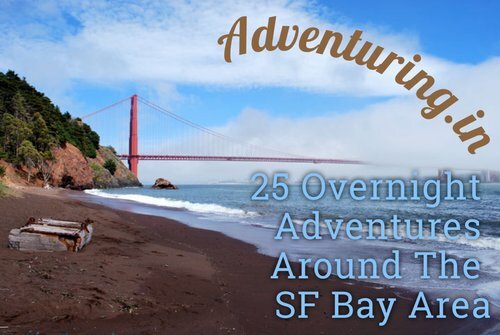 From camping to cabins, overnight on a paddlewheel boat, or a hotel overlooking the Monterey Bay, we have overnight adventures that are an easy drive from anywhere in the San Francisco Bay Area.